What is entrepreneurship, why does it occur, and why do some people succeed at it while others fail? Answering these seemingly simple questions may hold the key to encouraging future entrepreneurship. Most people recognize that entrepreneurship is important to economic progress and societal development. Entrepreneurs start new businesses or lead innovation inside existing businesses, hire people to help them pursue entrepreneurial opportunities, and, in the process, develop new technologies, create new industries, enable social progress, and increase wealth. At the same time, entrepreneurship involves tremendous risks. Entrepreneurs can be wrong about perceived opportunities, and new businesses can (and often do) fail. So how and why do some individuals (or groups of individuals) identify opportunities, evaluate them as viable and then successfully exploit them, whereas others do not? The answers can involve a complex mix of anthropological, political, economic, sociological, psychological, and competitive reasons. In the most basic sense, however, successful entrepreneurship occurs because (1) the future is uncertain and (2) individuals know different things than other individuals. Without these two basic components, potentially profitable opportunities would not exist, either because nothing would ever change (as economists say, markets would remain in “equilibrium”) or everybody would recognize the same opportunities. For example, if uncertainty did not exist either about individuals’ behaviours or the future state of the world, everyone, including potential entrepreneurs, would know in advance what the potential payoffs from their efforts would be. They could also successfully insure against possible downside risks because these risks would be known and quantifiable. In addition, if everyone had the same knowledge, no one would have an advantage in recognizing, evaluating and/or pursuing opportunities, and many potential sources of competitive advantage (like having a secret technology) that allow entrepreneurs to exploit these opportunities would not exist. Thus, both uncertainty and the fact that different people know different things are critical for entrepreneurship to occur. At the same time that these two components create entrepreneurial opportunities, they also produce many of the problems entrepreneurs face in starting their new ventures. For example, entrepreneurs may be unwilling (because of the worry about losing proprietary information) or unable (because an opportunity relies on “tacit knowledge” that they have difficulty explaining) to provide critical information about their ideas to other people. Without this information, however, potential investors probably will not provide critical resources and potential employees will not risk their careers to sign on with the new venture. As noted entrepreneurship scholar, Sankaran Venkataraman, observed, given this situation, it is a wonder that entrepreneurship ever occurs at all. Entrepreneurship, however, obviously does occur, sometimes with spectacular results. Somehow, successful entrepreneurs identify opportunities and convince others to invest money, raw materials, and careers in these opportunities. The question then is, given the benefits of entrepreneurship to society, how do we encourage people to take the risky step of being an entrepreneur? If people are “born entrepreneurs” or they are just lucky, then efforts to promote entrepreneurship are pretty much worthless. Evidence shows, however, that entrepreneurship can be encouraged in many ways. Most importantly, by understanding entrepreneurship as the process of opportunity recognition, evaluation, and exploitation, we have the ability to enhance the potential for entrepreneurs to succeed. For example, we know based on research that opportunity recognition often occurs when new knowledge is created and individuals, who have different knowledge, interact with one another. Thus, efforts to disseminate knowledge and promote “collisions” among people from different backgrounds through networking events may enhance entrepreneurship. In addition, opportunity exploitation is often hindered because entrepreneurs lack access to critical resources like financing. Thus, efforts to build entrepreneurship “ecosystems” where new businesses can be nurtured through the business incubation process and gain access to critical resources through events like business plan competitions or networking with resource providers may increase entrepreneurship. Entrepreneurship is a difficult and risky step for individuals, but its potential payoffs are high for both entrepreneurs and society. By understanding the entrepreneurship process, we enhance our ability as a society to encourage potential entrepreneurs to take this critical step. 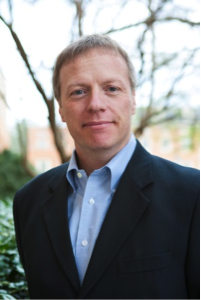 Dr. Franz Lohrke holds the Brock Family Chair in Entrepreneurship and is Chair of the Entrepreneurship, Management, and Marketing Department, Brock School of Business, Samford University. In his current roles, he guided the development of the Brock School’s entrepreneurship program from a single course in 2007 to being chosen as the best new U.S. entrepreneurship program in 2010. His publications include two books with Hans Landström, The Historical Foundations of Entrepreneurship Research (2010) and Intellectual Roots of Entrepreneurship Research (2012), both published by Edward Elgar Publishing. We are offering a 35% discount on Franz’s books until the end of December when purchased through our website. Once the book is in your shopping basket, enter the code ENTP35 in the special discount code box after you have entered your delivery details. Take a step forward: it’s Global Entrepreneurship Week! Well said. I also feel that entrepreneurs are able to see through the typical life path that society paints for us. They strive to make a life for themselves that is formed from their ideals. As a born-again entrepreneur, that is what drives me.